Storage sheds are an essential item for homeowners, as tools and other items not suitable to be inside the house can be stored here. For those who will be buying their sheds for the first time, several factors need to be considered. These include the price, the size of the shed, the materials used in building it, and the overall design. You need to narrow down all of the options to see which one would work best for your home. Once you selected the best storage shed for your home, you can start moving objects inside, making your property look neat and organized. The first thing to consider would be the price and the quality of the storage shed. Some storage sheds that have an extremely low price can be made from low-quality materials, and these can break easily. 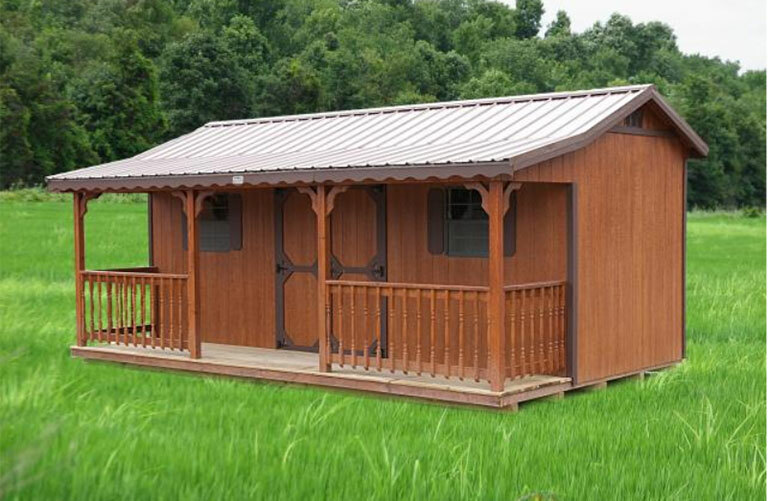 There are also storage sheds which are made from top quality materials but are very expensive. You should check the internet for guides coming from those who have purchased their storage sheds to find out which one has the best quality and the best price. You should also consider the design of the storage shed. When buying your storage shed, make sure that it would complement the appearance of your home. The wood storage shed would work perfectly for a house that is made entirely of wood, and for those who have a formal styled house, look for a storage shed that bears the same features. The landscape of the property should also be considered when buying a shed. To make it look appealing, make sure that the shed will be placed outside the open area of the garden. It is better to place it near the walls and put colorful plants or shrubs beside it. Remember that it should not always be the center of attention within your yard or garden. Choose the best materials for the storage shed. Wood can be the most appealing material, but it tends to wear over time. There are also storage sheds made from plastic and other synthetic materials, so choose the one that would look better within your property. Never buy a storage shed that is made from cheap materials that could wear shortly. You can also check the internet for guides or ask a professional regarding their take on which material should be considered when buying a storage shed. You also need to consider the building permits required before you build your storage shed. There are different rules and regulations regarding the construction of a shed for each state, and make sure to review your location’s building codes before you proceed. If you build your shed without consulting your locality’s building codes, you might get into trouble, and the government might impose a fine. Having a shed inside your property is a must, especially if you wanted your home to look more organized. Sheds can also be converted into a small room that can be decorated, making it a small home inside your home.